In various blog posts in the past I have tried to emphasize that sound change in linguistics is fundamentally different from the kind of change in phenotype / genotype that we encounter in biology. The most crucial difference is that sound sequences, i.e., our words or parts of the words we use when communicating, do not manifest as a physical substance but — as linguists say — "ephemerically", i.e. 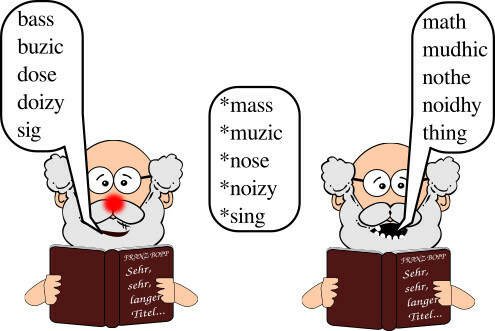 by the air flow that comes out of the mouth of a speaker and is perceived as an acoustic signal by the listener. This is in strong contrast to DNA sequences, for example, which are undeniably somewhere "out there". They can be sliced, investigated, and they preserve information for centuries if not millenia, as the recent boom in archaeogenetics illustrates. Here, I explore the consequences of this difference in a bit more detail. Language, as Wilhelm von Humboldt (1767-1835) — the boring linguist who investigated languages from his armchair while his brother Alexander was traveling the world — put it, is an activity (energeia). If we utter sentences, we pursue this activity and produce sample output of the system hidden in our heads. Since the sound signal is only determined by the capacity of our mouth to produce certain sounds, and the capacity of our brain to parse the signals we hear, we find a much stronger variation in the different sounds available in the languages of the world than we find when comparing the alphabets underlying DNA or protein sequences. Despite the large variation in the sound systems of the world's languages, it is clear that there are striking common tendencies. A language without vowels does not make much sense, as we would have problems pronouncing the words or perceiving them at longer distances. 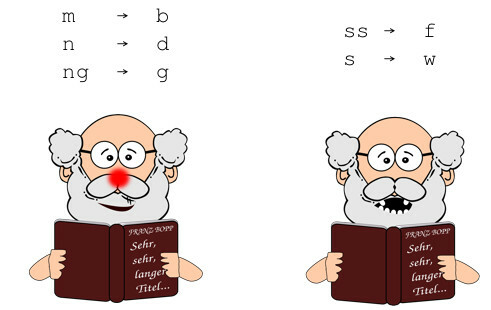 A language without consonants would also be problematic; and even artificial communication systems developed for long-distance communication, like the different kinds of yodeling practiced in different parts of the world, make use of consonants to allow for a clearer distinction between vowels (see the page about Yodeling on Wikipedia). 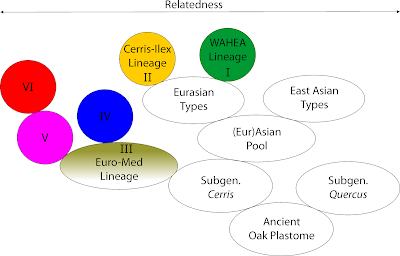 But, between both extremes we find great variation in the languages of the world, and this does not seem to follow any specific pattern that could point to any kind of selective pressure, although scholars have repeatedly tried to demonstrate it (see Everett et al. 2015 and the follow-up by Roberts 2018). What is also important here is that, not only is the number of the sounds we find in the sound system of a given language highly variable, but there is also variation in the rules by which sounds can be concatenated to form words (called the phonotactics of a language), along with the frequency of the sounds in the words of different languages. Some languages tolerate clusters of multiple consonants (compare Russian vzroslye or German Herbst), others refuse them (compare the Chinese name for Frankfurt: fǎlánkèfú), yet others allow words to end in voiced stops (compare English job in standard pronunciation), and some turn voiced stops into voiceless ones (compare the standard pronunciation of Job in German as jop). Language is a system which essentially concatenates a fixed number of sounds to sequences, being only restricted by the encoding and decoding capacities of its users. This is the core reason why sound change is so different from change in biological characters. If we say that German d goes back to Proto-Germanic *θ (pronounced as th in path), this does not mean that there were a couple of mutations in a couple of words of the German language. Instead it means that the system which produced the words for Proto-Germanic changed the way in which the sound *θ was produced in the original system. In some sense, we can think metaphorically of a typewriter, in which we replace a letter by another one. As a result, whenever we want to type a given word in the way we know it, we will type it with the new letter instead. But this analogy would be to restricted, as we can also add new letters to the typewriter, or remove existing ones. We can also split one letter key into two, as happens in the case of palatalization, which is a very common type of sound change during which sounds like [k] or [g] turn into sounds like [tʃ] and [dʒ] when being followed by front vowels (compare Italian cento "hundred", which was pronounced [kɛntum] in Latin and is now pronounced as [tʃɛnto]). Since it is the sound system that changes during the process we call sound change, and not the words (which are just a reflection of the output of the system), we cannot equate sound change with mutations in biological sequences, since mutations do not recur across all sequences in a genome, replacing one DNA segment by another one, which may not even have existed before. The change in the system, as opposed to the sequences that the system produces, is the reason for the apparent regularity of sound change. This culminates in Leonard Bloomfield's (1887-1949) famous (at least among old-school linguists) expression that 'phonemes [i. e., the minimal distinctive units of language] change' (Bloomfield 1933: 351). From the perspective of formal approaches to sequence comparison, we could restate this as: 'alphabets change'. Hruschka et al. 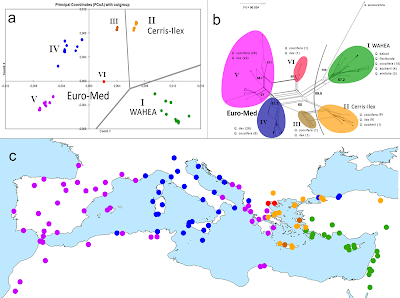 (2015) have compared sound change with concerted evolution in biology. We can state the analogy in simpler terms: sound change reflects systemics in language history, and concerted evolution results from systemic changes in biological evolution. It's the system, stupid! Given that sound systems change in language history, this means that the problem of character alignments (i.e. 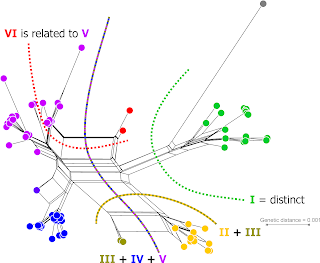 determining homology/cognacy) in linguistics cannot be directly solved with the same techniques that are used in biology, where the alphabets are assumed to be constant, and alignments are supposed to identify mutations alone. If we want to compare sequences in linguistics, where we have to compare sequences that were basically drawn from different alphabets, this means that we need to find out which sounds correspond to which sounds across different languages while at the same time trying to align them. Let me provide a concrete artificial example, to illustrate the peculiarities of sound change. Imagine two people who originally spoke the same language, but then suffered from diseases or accidents that inhibited them from producing their speech in the way they did before. 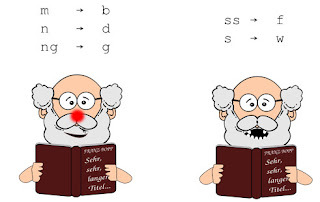 Let the first person suffer from a cold, which blocks the nose, and therefore turns all nasal sounds into their corresponding voiced stops, i.e., n becomes a d, ng becomes a g, and m becomes a b. Let the other person suffer from the loss of the front teeth, which makes it difficult to pronounce the sounds s and z correctly, so that they sound like a th (in its voiced and voiceless form, like in thing vs. that). Artificial sound change resulting from a cold or the loss of the front teeth. If we now let both persons pronounce the same words in their original language, they won't sound very similar anymore, as I have tried to depict in the following table (dh points to the th in words like father, as opposed to the voiceless th in words like thatch). By comparing the words systematically, however, bearing in mind that we need to find the best alignment and the mapping between the alphabets, we can retrieve a set of what linguists call sound correspondences. We can see that the s of speaker Cold corresponds to the th of speaker Tooth, z corresponds to dh, b to m, d to n, and g to ng. 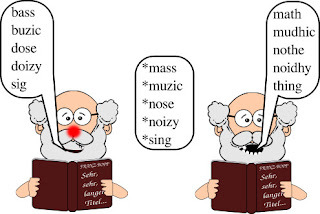 Having probably figured out by now that my words were taken from the English language (spelling voiced s consequently as z), it is easy even to come up with a reconstruction of the original words (mass, music[=muzik], nose, noisy=[noizy], etc.). Reconstructing ancestral sounds in our artificial example with help of regular sound correspondences. 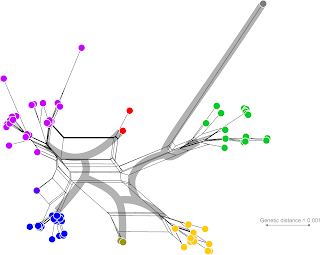 Systemic changes are difficult to handle in phylogenetic analyses. They leave specific traces in the evolving objects we investigate that are often difficult to interpret. While it has been long since known to linguists that sound change is an inherently systemic phenomenon, it is still very difficult to communicate to non-linguistics what this means, and why it is so difficult for us to compare languages by comparing their words. Although it may seem tempting to compare languages with simple sequence-alignment algorithms with differences in biological sequences resulting from mutations (see for example Wheeler and Whiteley 2015), it is basically an oversimplifying approach. Simple models undeniably have their merits, especially when dealing with big datasets that are difficult to inspect manually — there is nothing to say against their use. But we should always keep in mind that we can, and should, do much better than this. 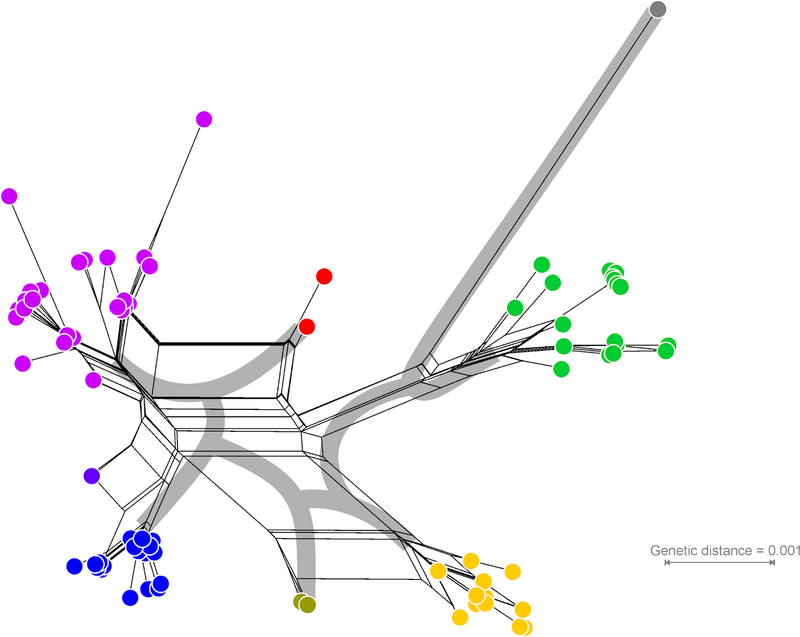 Handling systemic changes remains a major challenge for phylogenetic approaches, no matter whether they use trees, networks, bushes, or forests. Given the peculiarity of sound change in linguistic evolution, and how well the phenomena are understood in our discipline, it seems worthwhile to invest time in exploring ways to formalize and model the process. During the past two decades, linguists have taken a lot of inspiration from biology. The time will come when we need to pay something back. Providing models and analyses to deal with systemic processes like sound change might be a good start. Bloomfield, L. (1973) Language. Allen & Unwin: London. Everett, C., D. Blasi, and S. Roberts (2015) Climate, vocal folds, and tonal languages: connecting the physiological and geographic dots. Proceedings of the National Academy of Sciences 112.5: 1322-1327. Hruschka, D., S. Branford, E. Smith, J. Wilkins, A. Meade, M. Pagel, and T. Bhattacharya (2015) Detecting regular sound changes in linguistics as events of concerted evolution. Curr. Biol. 25.1: 1-9. Roberts, S. (2018) Robust, causal, and incremental approaches to investigating linguistic adaptation. Frontiers in Psychology 9: 166. Wheeler, W. and P. Whiteley (2015) Historical linguistics as a sequence optimization problem: the evolution and biogeography of Uto-Aztecan languages. 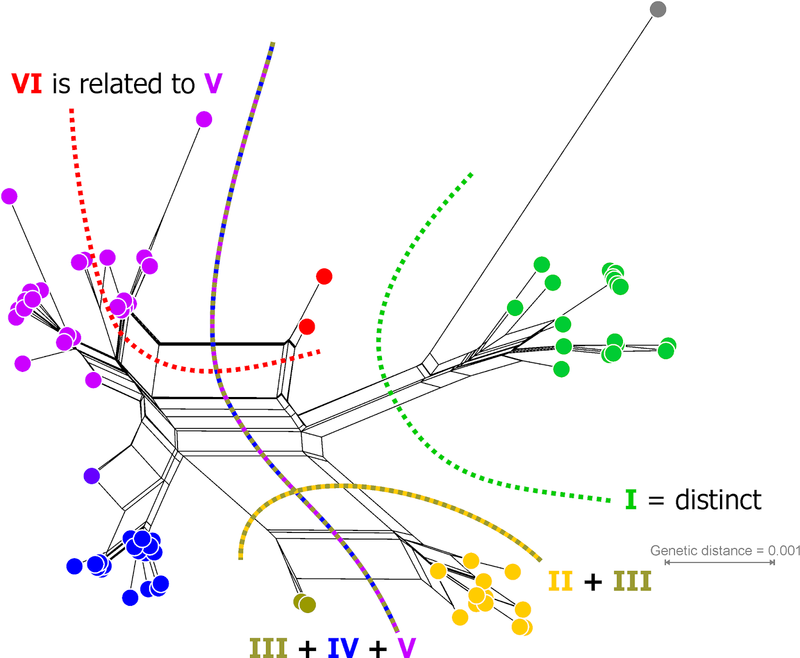 Cladistics 31.2: 113-125. 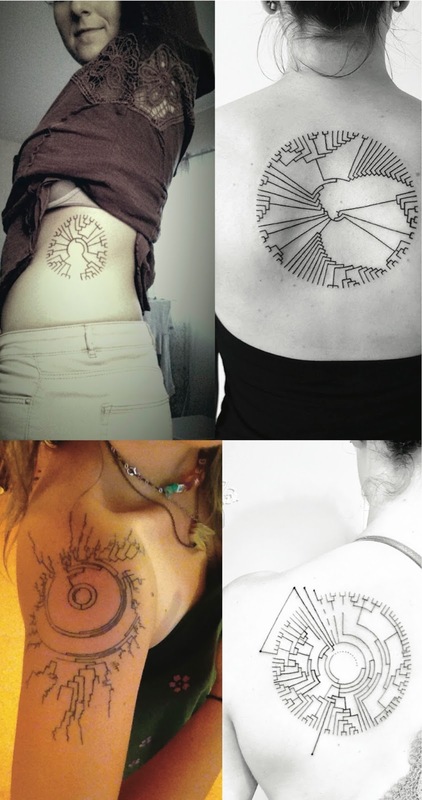 Tattoos are quite common among modern women. So, for today's collection, here are some circular phylogenetic trees of various sizes and in various locations. Ladies with tattoos - What are some negative (or positive) comments you've gotten from strangers because of your tattoos? Where are your tattoos and what are they of? The Founding Fathers of the USA made the decision to explicitly insist on the right of all US citizens to bear arms, because they felt that to do otherwise could be the foundation of what we would now call a Police State. The right was granted in the well-known 2nd Amendment, along with the right form a militia (to fend off the British, among others). This may have been a reasonable way to achieve freedom in the 1700s; and it was certainly the basis of the reputation of the Wild West in the 1800s. However, increasingly during the 1900s, and especially now, in the 2000s, the practical consequences of this part of the US Constitution have come into question. Indeed, due to recent events in some states, this facet of the United States has come to world-wide attention, because it is a quite unique gun legislation. However, this is an over-simplification, because there are substantial differences between the fifty states (and the District of Columbia). This blog post provides a practical look at the similarities and differences in these gun laws. Gun legislation is not a federal business, as one may think when following the news. The USA is a union of states, rather than a federation, with the states retaining all political rights that they have not delegated to the federal government (ie. inter-state laws and inter-nation laws). This differs from almost all other countries, in which the federal government retains all political rights that it does not delegate to the states or counties. In particular, the US state legislations are highly diverse regarding how to exercise the basic (constitutional) right to bear arms. Some states retain the original 1700s interpretation while others have made it rather hard to carry guns, either openly or concealed. Does one need a permit? Does one need a permit to purchase a gun? Does one need to register an owned gun? Is it allowed to carry the gun in the open? Are there background checks when one privately sells or buys a gun? For each state, each of these questions can be answered by 'Yes' or 'No', for both hand guns (pistols, revolvers, etc) and long guns (rifles) separately. In addition, further restrictions/modifications are listed. For instance, there are variations regarding the general policy regarding getting a permit for a gun ("Unrestricted"; "Shall Issue"; "May Issue") and how it's done. Hawaii, to take one example, requires permits, and the general policy is "May Issue", meaning that the state may issue a permit or decide not to, on a case-to-case basis. In reality, the bars to getting a permit are so high in Hawaii that normally people don't get one. The other "May Issue" exercised as "No Issue" state is New Jersey. Another characteristic is that some states, such as California, do not allow private sales unless they are done via a licensed dealer or state law enforcement department. This all leads to 17 characters that can contribute to differences between states. These can be illustrated in a simple network. The outcome is shown below, after some technical details about how to produce the picture. To provide a pictorial overview of these differences, we can use a particular type of network, called a phylogenetic network. 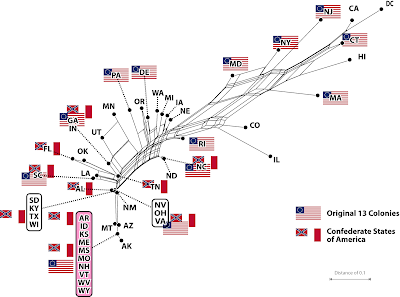 We first calculate pairwise distances between the states, quantifying their differences, and then use a neighbor-net to create the picture as a single graph. The five main questions provide ten binary (2-state) characters (No = 0, Yes = 1), but I chose an ordered ternary character (3-state) for open carry, to account for local variation (open carry allowed in general = 0, not state-wide = 1, not-at-all = 2). For the ordered ternary characters, the change from e.g. "Unrestricted" (0) to "May Issue" (2) counts as two differences. To even out the impact of binary and ternary characters, all binary characters have the weight two. Hence, a distance of 0 (between any given pair of states) means that the two states have the same legislation in all scored characters; and a distance of 2 would mean that two states differ completely in their legislation. I excluded one character (the maximum number of rounds allowed per magazine) that provides little discriminatory signal, since it can only be scored for the rather few states that have a magazine size restriction (either 10 or 15 rounds) for hand or long guns (or both). Gun legislation in the states of the U.S.A. 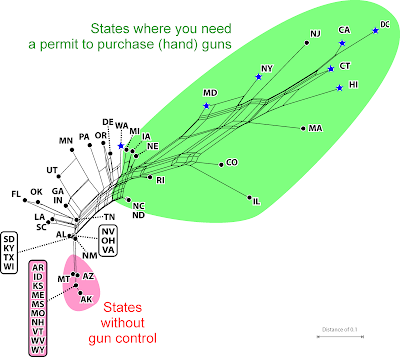 Figure 1 A neighbour-net visualizing the differences in gun legislation in the U.S.A. Blue stars indicate states where guns have to be registered. The graph well captures the differences in the state legislations. States without gun control, i.e. no permits needed, no registration, free-to-carry, no limitation of magazine sizes, form one endpoint of the network (highlighted in red). At the opposite end of the graph, highlighted in green, are those states requiring permits for having, buying or selling a gun, that don't endorse open carry, and limit the size of magazines to 10/15 rounds. This part of the network is spread out because each state shows a different combination of controls. The most restrictive states are the right-most ones (Hawaii, Connecticut, California and District of Columbia). In between these two endpoints, come the states that exercise some control (e.g. on handguns only). These are generally more similar to the no-control states, in that they may require one or another permit, but otherwise have no or few restrictions. You will note the position of both Texas and Florida (states that joined the Union in the 19th century and were part of the Confederacy) in the network — they are both down the end with the fewest gun controls. You will also note the position of the most densely populated states, which are mostly down the other end. Finally, here is the same graph with two historical groups of states highlighted, representing two phases of the development of the modern USA. The nature of modern gun laws is not randomly distributed among these groups. Figure 2 Same graph as in Fig. 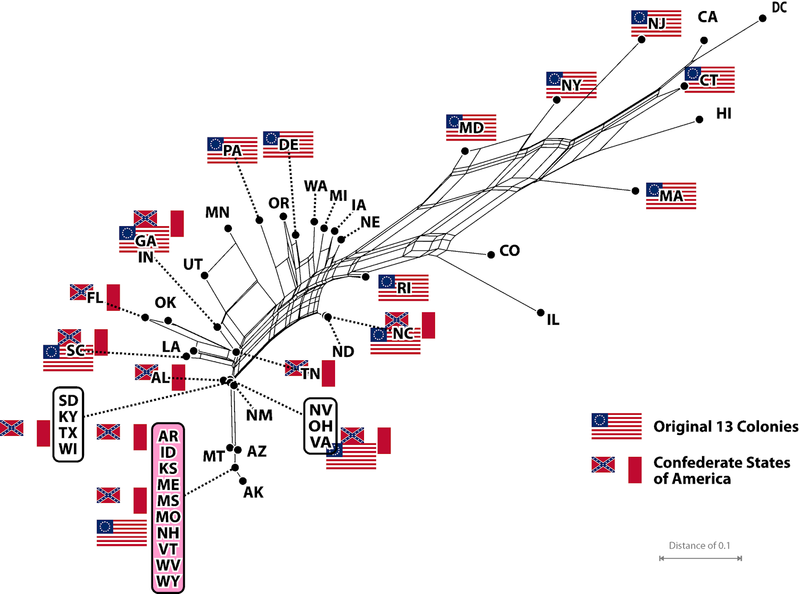 1, showing the original Thirteen Colonies (1700s) and the states of the Confederacy (1800s). Clearly, the United States provides a variety of gun legislation, from strong control to almost none. This inevitably leads to strongly opposing opinions among the public when it comes to guns, although this calls into question a basic constitutional right. The network also provides a guide-graph for any tourists who might be concerned about U.S. gun legislation. They should visit states such as California if they wish to feel safer, or Alaska if they are searching for a little wild-west feeling. More plots, links, etc can be found in the related long-read. It includes mapping results of recent and earlier tight presidential elections, population density, real GDP, and number of firearm-related deaths per 100,000 inhabitants; links for further reading and some thoughts on the issue.